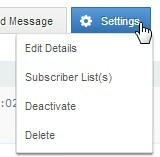 To create/add additional messages to the series just click on the "Add Message" button. 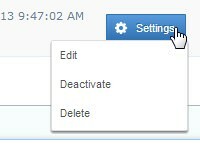 If you'd like to edit the Autoresponder series settings just click on the "Settings" Button associated with that series. If you'd like to edit any of the messages within an autoresponder series all you have to do is click on the "Settings" button associated with that message.